(The scientific name for this genus is also written Chrysoplenium - this latter form is now less commonly used, but you will find both spelling forms used widely, sometimes even by the same authority!). 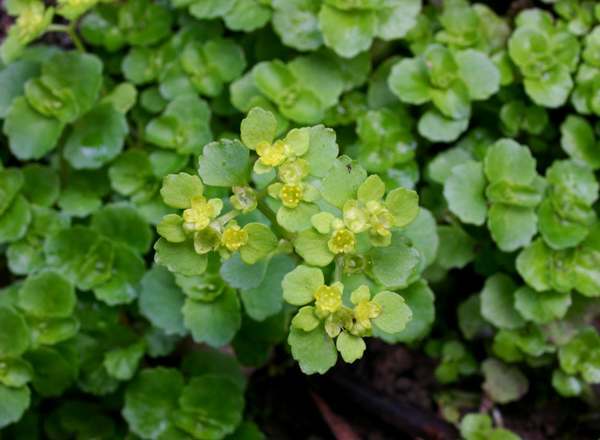 Beside small streams, where water runs over shaded rocks, where springs emerge in woodland - these are the kinds of places you will find Golden Saxifrage. 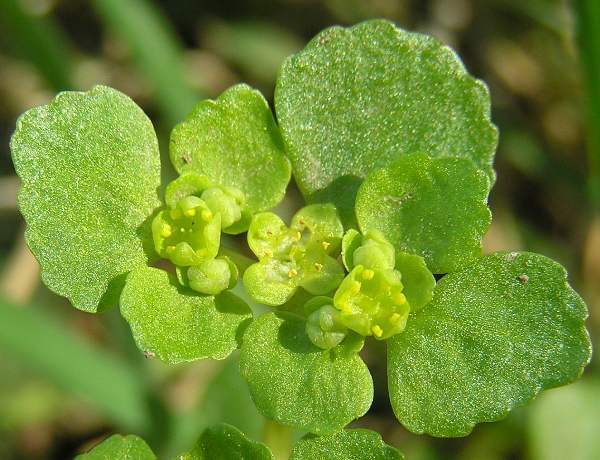 The most commonly occurring species in Britain and Ireland is Opposite-leaved Golden Saxifrage, shown here. 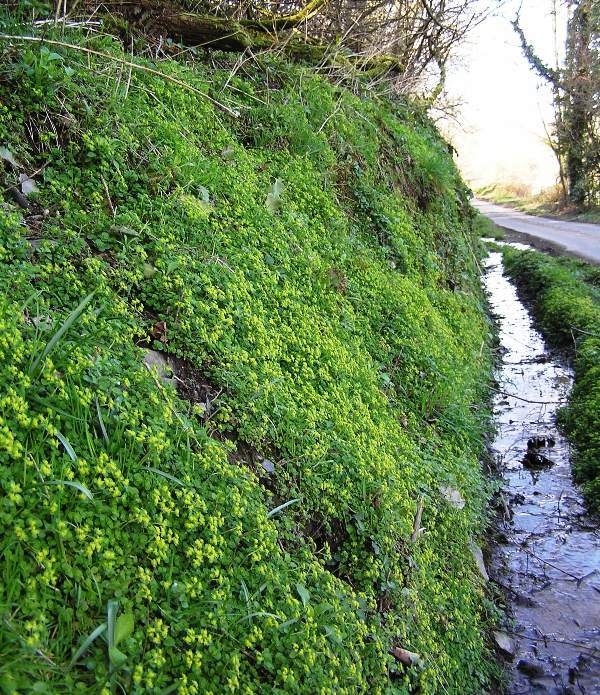 From April until July these tiny flowers deck roadside ditches and other damp places; but, because the flower petals are golden green and the young leaves a very similar colour, many people do not notice the flowers at all.